Whats all this talk about macros? You may have heard the term macros or macronutrients lately. You probably asked yourself, what is a macro, and why is it so special? 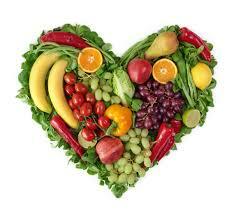 Its simple, there are three macronutrients (macros); protein, carbohydrates (carbs), and fats. That’s it, pretty simple right? These are sources of energy for your body, they help build muscle and keep you functioning throughout life. These are all important to body function and to weight loss and gaining muscle. 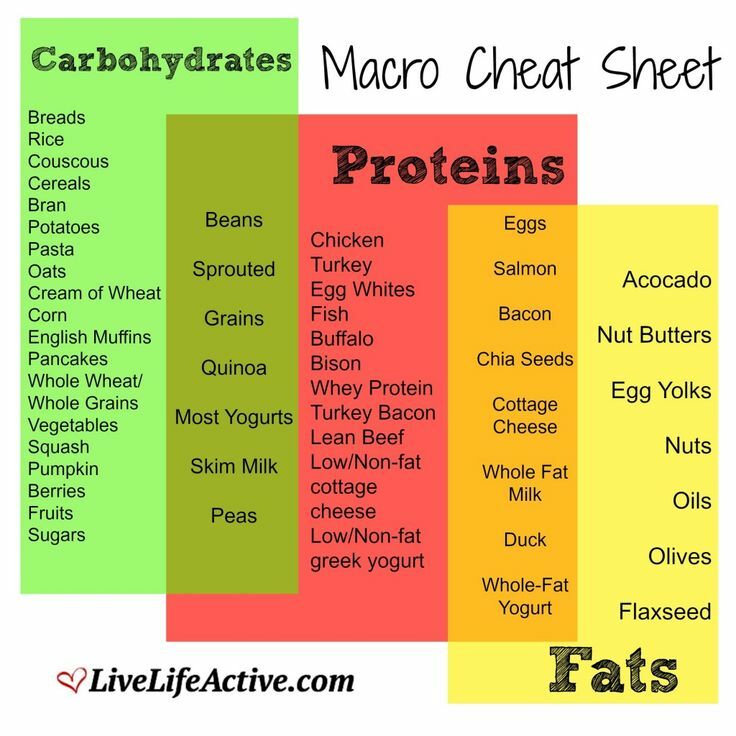 In order to start tracking your macros, it helps to learn where you can get ideal food sources of each one. Protein is my favorite macronutrient. Protein has 4 calories per gram. Protein comes from foods like meat, eggs, and dairy. My favorite sources of protein are greek yogurt, cottage cheese, and pork loin. Chicken, turkey, ham, tuna, lean beef and fish are also great meat sources. You can also get protein from some beans and grains, but the carb content of the foods is pretty high so I wouldn’t call those foods “protein” foods. Why is protein important? Protein aids in muscle recovery and function. Protein also has a high thermic effect, this means that your body actually burns more calories digesting it than the other macros. Thats a win! I also love protein because when you eat it with carbs, it keeps you full longer. This allows you to go longer between meals, which allows your body to tap into burning through some of the stored fat in our bodies. Thats another win! Some of my clients have told me that they eat a lot of protein because they eat a lot of peanut butter, or almonds, etc. I will tell you that nuts are not “protein” foods! Yes, they have some protein in them, but the fat content is almost double the grams of protein for these foods. Nuts are amazing sources of heart healthy omega fats, I eat them every day. The key is to measure them when you eat them to control your portions. Keep in mind that they contain a high amount of fat, and if your goal is weight loss, too much might interfere with your progress. Got it? The next macronutrient is carbohydrates. One gram of carb is 4 calories. Carbs are everyone’s favorite, and they can be controversial. Most people have a love-hate relationship with carbs. You will hear a lot of people trying to lose weight talking about being on a “low carb” diet, or a “ketogenic” diet. I will tell you from personal experience that low carb diets are hard, and they definitely increase your potential for binging and cheating. Low carb diets also suppress your metabolism and they are hard to sustain forever, so when you fall off the bandwagon, you do so with a slower metabolism than when you started, which leads to gaining the weight back. All that hard work down the drain….. Ok that was my low carb spiel! So where do carbs come from? Most people think about carbs as bread, pasta, rice, potatoes, wheat, etc. These are the starchy carbs. Starchy carbs are quick energy, I love eating these before I have intense physical activity to give me the energy to get the best workout in. I love rice cakes and all types of bread! The fibrous carbs are things that grow like fruits and veggies. Yes, veggies are carbs! The fibrous carbs are loaded with lots of vitamins and nutrients and fiber. These are important as well. I love fruit, yes it has a higher carb amount, but it is so good for you when properly measured and paired with lean protein. I love having fruit in my greek yogurt! Sugar is also a carb. Things like fat free candy are still just pure carbs, which will turn into fat in your body when not utilized as energy. Keep that in mind when drinking juice, pop, or sweet tea. I try to stick to water or I sweeten my iced tea or coffee with some stevia. Artificial sweeteners can get in the way of progress. I try to avoid aspartame and splenda and stick to natural stevia. I also consume these with my meals so it doesn’t interfere with my progress. The final macronutrient is fat. Do not be afraid of fat, your body needs it. It helps aid in muscle and brain development. One gram of fat has 9 calories, it’s a little more calorically dense. There are different types of fats also. Mono fats are the “good fats” from foods like fish oil, olive oil, avocados, nuts, flax oil, etc. These fats are essential in the right portion to help your body function. The key is portion! Just because it’s a “good fat” doesn’t mean that it’s a freebie and you can eat as much as you want because it’s “good”. It still has to be measured and consumed with mindfulness to keep you moving towards your goals. I had a client who couldn’t understand why she was gaining weight, after chatting she told me how she was making a smoothie every morning with several spoonfuls of coconut oil for brain health. After stopping this, she lost about 5lbs over the course of 2 weeks. Don’t get me wrong, I love coconut oil, but it’s important to measure it and keep in mind the grams of fat. Saturated fats get a bad rep, but these are not too terrible and can fit into your food intake with the right balance. I personally believe in quality when consuming saturated fats. Red meat contains saturated fats, but are you eating a grass fed prime rib, or are you eating a Whopper from BK? They are both red meat with saturated fat, but one is better quality than the other. Trans fats should be avoided. These are what I like to call “fake fats”. Things like margarine, crisco, and most fast foods contain trans fats. Your body doesn’t know what to do with these fats. It’s hard for it to use it as energy so usually your body will just store it. So, now that you know what the macros are, I hope you will begin noticing these when reading food labels in the store. Do not worry about total number of calories or % daily value. To keep it simple, just look at protein, carbs and fats grams when looking at food labels. What things do you notice that you never knew before? I would love to hear your thoughts. Next time I will explain why tracking your macros for weight loss is more efficient and sustainable than counting calories alone.